Over the past five years, Jacobsen has returned to the Australasian market with a determination to significantly increase their presence in the groundscare and fine turf sector. Part of that strategy is in the area of education, especially for those involved with golf, and it is here that we have seen the introduction of various initiatives, especially around the time of AGCSA’s annual golf conference and exhibition, which takes place in June each year. For the past three years, Jacobsen has sponsored speakers from the UK and USA to travel to Australia and New Zealand and speak on various topics including agronomy and political issues in the workplace. In 2014, Dr Karl Danneberger, Professor of Turfgrass Science at the Department of Horticulture and Crop Science at Ohio State University, gave a number of presentations at the Australian Turfgrass Conference and also at a similar event organised by the NZGCSA in New Zealand. That year, Jacobsen also sponsored David Bancroft-Turner, a former executive with National Westminster Bank who is now an Executive Coach, Trainer and Speaker specialising in Leadership Development. His presentations, which focus on Politics in the Workplace have proved extremely popular and he has been invited back for the past three years. 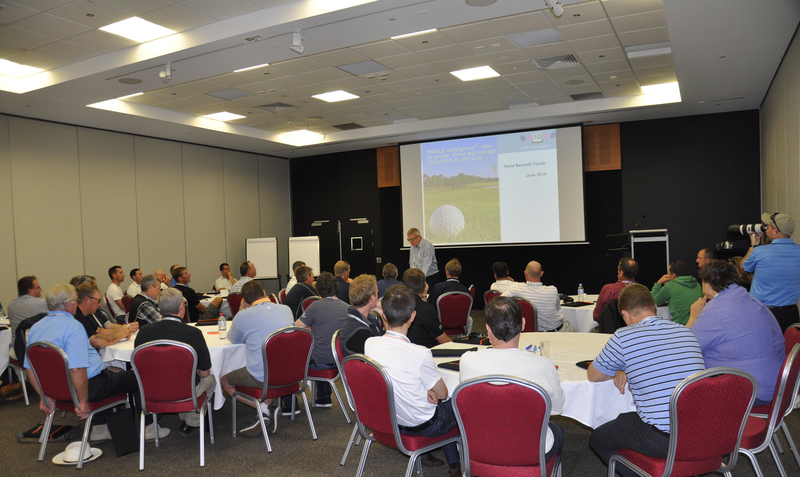 In 2015 it was the turn of Dr Jack Fry, Professor of Turfgrass Science at Kansas State University to make the long flight from the USA and pass on his knowledge to the AGCSA’s delegates at the conference. Now, in June, Dr Fred Yelverton, a faculty member at North Carolina State University for 32 years, will be joining the delegates in Melbourne to speak about his specialist subjects Advanced Weed Management and Golf Course Preparation. Karen Proctor, International Marketing and Communications Manager at Ransomes Jacobsen in England, explains why the Jacobsen brand is using education in the marketing mix. 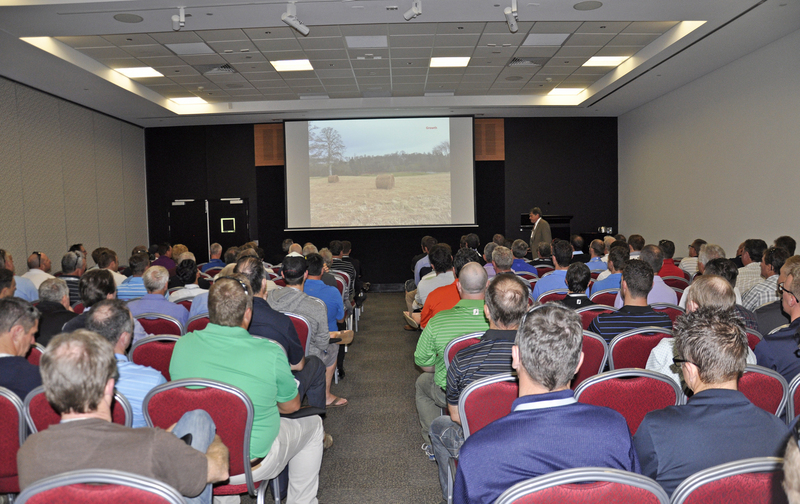 “We like to think that we are the leaders in bringing education to our industry by encouraging and providing renowned and inspirational speakers at events such as the Australian Turf Trades Management Exhibition and other similar events. This is not confined to just Australasia, we are active in this area around the globe. “We believe that it is vitally important to provide this type of forum for education and networking; it’s what superintendents around the world crave after; this an industry that just can’t get enough education. Jacobsen’s education involvement doesn’t stop there. Assistant Superintendents normally have great agronomical training, but their next step up the career ladder will probably be a management position. Traditionally, there is little education available to this group when it comes to management skills, so Jacobsen has introduced the Future Turf Managers’ Initiative (FTMI). The FTMI was first introduced in the UK four years ago and now takes place in Portugal and New Zealand and, for the first time this year, in Australia. The AGCSA recognises the importance of preparing golf course maintenance personnel to take on the role of superintendent, course manager or assistant and have partnered with Jacobsen to offer this highly successful training opportunity to Australian course maintenance staff. The FTMI has been designed to provide practical tools and guidance to help assist candidates with their career aspirations through the FTMI’s interactive, professional development programme. Working with qualified trainers, mentors, AGCSA and Jacobsen staff, participants will leave FTMI with a clear understanding of what the future holds and a realistic overview of the expectations that come with their climb up the management ladder. Taking place during the Australian Turfgrass Conference it is an intensive two days of seminars, talks and workshops covering subjects such as communication, budgeting, team management, CV writing and interview techniques, networking and career development. Ten delegates will be selected for this excellent career-enhancing opportunity and the education will be presented by keynote speakers, established and respected superintendents/course managers (mentors) and other industry professionals with content and agenda determined by the AGCSA and Jacobsen. The final element in Jacobsen’s educational support for the industry in Australia is the result of their three-year agreement with Melbourne Polytechnic (formerly NMIT) to supply new equipment for use on the five golf courses managed by the college. The new machines will also be used for classroom technical training. 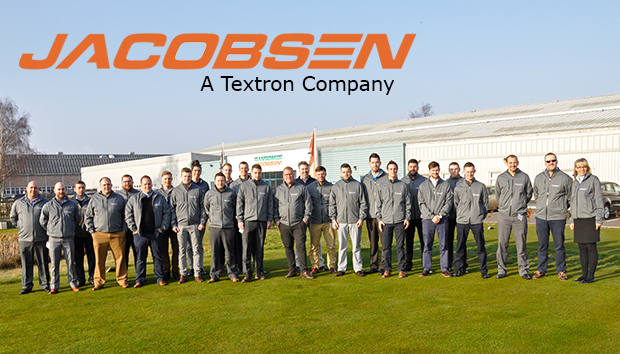 Included in the agreement is an annual scholarship for the top performing student to travel to America and take part in Jacobsen’s version of Future Turf Managers’ Programme (FTM). This programme sees similar top performing students from the major US colleges being invited to Jacobsen’s headquarters in Charlotte, North Carolina for a week-long training, mentoring and networking event. This year, Shaun Gerring, Assistant Superintendent at Green Acres Golf Club in the eastern suburbs of Melbourne, was nominated as the top performing student on Melbourne Polytechnic’s Diploma of Sports Turf Management and has recently returned from (or will be travelling to) Charlotte for the event. “We put a lot of time, effort and money into training initiatives all over the world and when I began looking after Asia Pacific, one of the things I wanted to roll out were the education programmes we have been running in Europe and the States.